We specialize in helping organizations take their service to the next level. Pinwheel Performance, in partnership with world-renowned hospitality expert, Holly Stiel, has developed and implemented this step-by-step program which enhances the customer (resident, patient, client and guests) experience. This approach has been successfully adopted in Senior Living, Health Care and Hotel industries. Core Team Members serve as ambassadors of the initiative and representatives of their departments. Spirit in Service is an inspiring workshop that sets the tone for a foundational service mindset. Service Pillars (created by team members) serve as the anchor for service standards. Service Standards are the pillars in action: concrete behaviors that are observable and measurable. 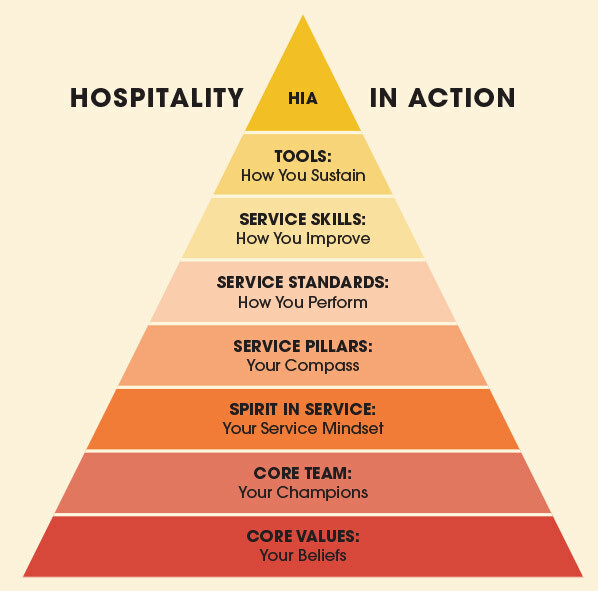 Service Skills are tangible skills necessary for any hospitality professional. Reinforcement tool kits are designed for and utilized by managers to reinforce service concepts, skills and standards over a six month period.